French Made Baking, 81 Kingsway, run by the lovely husband and wife team, Catherine and David Introligator, are launching a new menu Goûters Gourmets on Mother’s Day. It will be French afternoon tea with two options. They tell us, Goûter in France is the traditional after school snack between lunch and dinner. So they are now offering you the full Parisian experience here in Vancouver just in time for Mother’s Day. You are invited to bring your Mom for an “Après-Midi à Paris” (Afternoon in Paris). This will include in a 1 ½ hour full service high tea with Kusmi Tea imported from Paris, sweet and savoury mini-croissants, French macarons, madeleines and other tea time favourites including mini-desserts, a bread basket including brioche, whole wheat campagne bread, baguette served with locally sourced artisan pâtés, butter, jams and Nuciola (French Made Baking’s own chocolate-hazelnut spread). All sounds pretty amazing to us. Please note that reservations are required. Afternon tea will take place from 1:30 pm to 4:30 pm. The cost is $31.50 per person. Gluten free menu available with some advance notice. For those seeking a lighter fare, you can also treat Mom to the Café-Gourmand much like it is served in French bistros. 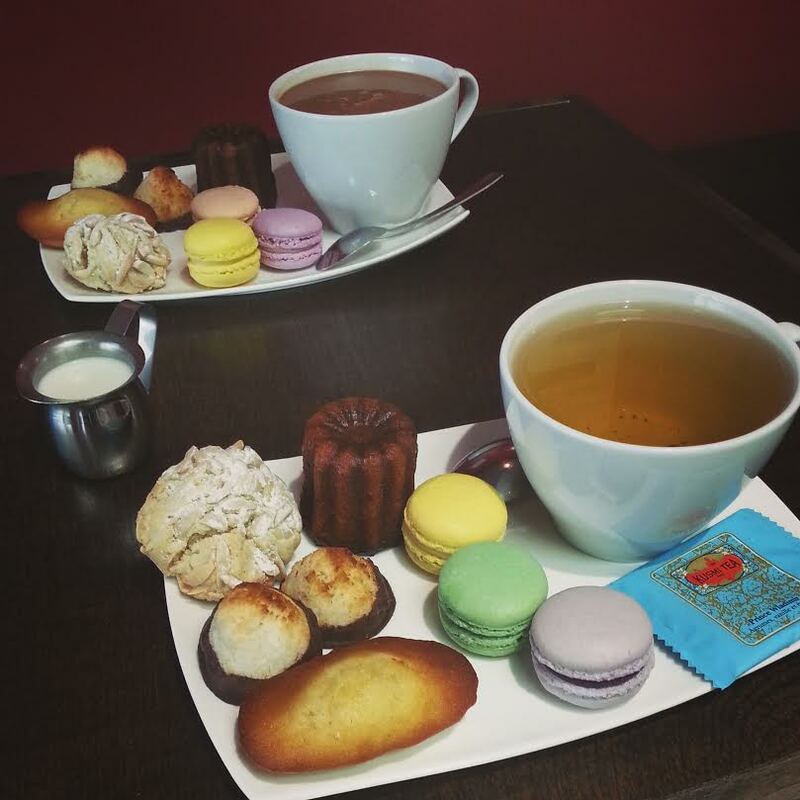 That being a long plate with a cup of Mogiana coffee or Kusmi tea and an assortment of bite-sized pastries (macarons, madeleines, canelés, mini-crêpes and other delectable goodies) all from French Made Baking along with the largest selection of Kusmi Teas in Vancouver. Goûter Gourmet “Café Gourmand” is $15 per person and available every day whereas Goûter Gourmet “Après-Midi à Paris” (the Afternoon in Paris) is available only on Fridays, Saturdays and Sundays.